Native to Central America, Omar Thomas came to the United States at age five. He learned English at age eight. Growing up in a military family, he followed his father's footsteps into the Army at age 17 but was injured just two years later in Desert Storm, while serving as a combat officer. Tired of "being shot at," he transferred to medical laboratory sciences, earned a biology degree at William Patterson College and worked at Walter Reed Medical Center's microbiology lab, studying pathogenic disease microorganisms. 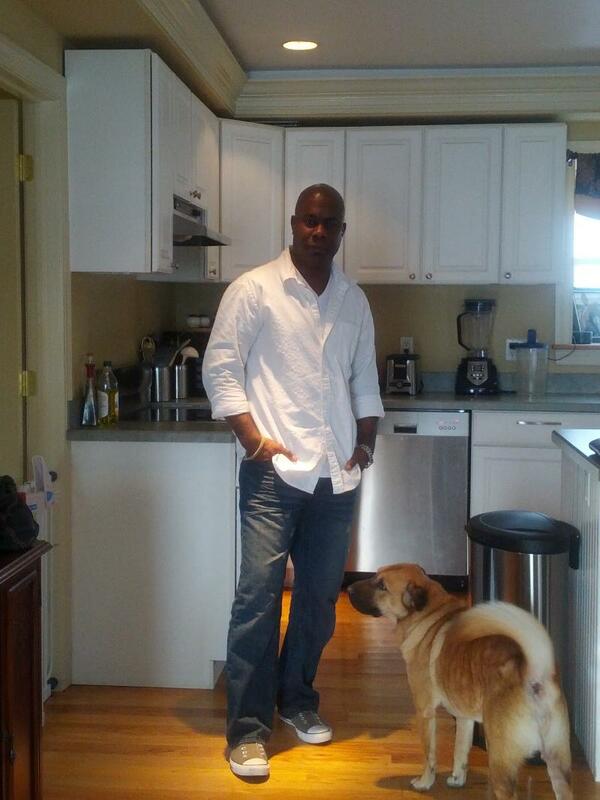 However in 1998, Thomas was forced to leave the military on medical discharge because his kidneys were failing. We welcome over 100 newly Accredited professionals to our program for 2013! Both our Pennsylvania and New England Regional Courses were filled, and we're delighted to set out on two new partnerships with the Pennsylvania Horticultural Society in Philadelphia, PA and Three Rivers Community College in Norwich, CT. The Annual Accreditation Course has been updated to offer specific information which relates to your career and has been reduced to four days to accommodate your busy schedule. Learn more about the course here. Welcome to CT NOFA's New Executive Director! 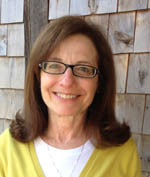 Please join the Board of Directors and staff of CT Northeast Organic Farming Association (CT NOFA) in welcoming Eileen Hochberg, our new Executive Director. Eileen is a talented professional with broad experience at non-profit organizations. She was the director of Conservation Outreach for the Westchester Land Trust for eight years. 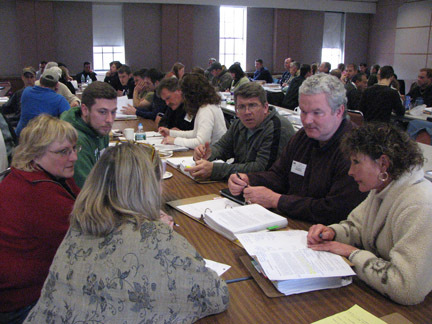 During that time, she created new initiatives in farmland preservation and agricultural retention including a Farmers Network of over 300 local food and agriculture stakeholders. Eileen also initiated a Farmer-Landowner matching program. CT NOFA President Bettylou Sandy praised Eileen as "an experienced manager and director of staff and programs with a heart for everything organic and local. I believe Eileen will bring us to the next level of growth for CT NOFA to help our farmers, gardeners, land care professionals, businesses and consumers preserve the natural world around us so we can have a healthier future. She has already shown wonderful leadership in working with our staff and Board to begin her plans so the implementation will go smoothly. We are excited to have Eileen as our new Executive Director of CT NOFA!" Eileen is excited to be leading CT NOFA, and says, "I am looking forward to working with the board and staff to lead CT NOFA into the future. CT NOFA was founded 31 years ago and has been exemplary in helping to bring organic farming, gardening, and land care methods into the forefront in Connecticut to help change how we eat and care for the land. Now that organic practices have become more and more mainstream I look forward to further expanding CT NOFA's role as a key stakeholder in our local food system". Prior to working at the land trust, Eileen was Executive Director of the March of Dimes Northern Metro Chapter and Associate Director for Corporate Alliances at the National Office of the March of Dimes. She is currently on the board of Slow Food Metro North and a member of the Bedford 2020 Coalition Food and Agriculture Task Force. Eileen can be reached at the CT NOFA office at Eileen@ctnofa.org or 203 888-5146. Couldn't attend the Greenwich course? Don't worry, we're in the process of scheduling the next course at Naugatuck Valley Community College in July. When the date has been finalized, you can learn more on our website. 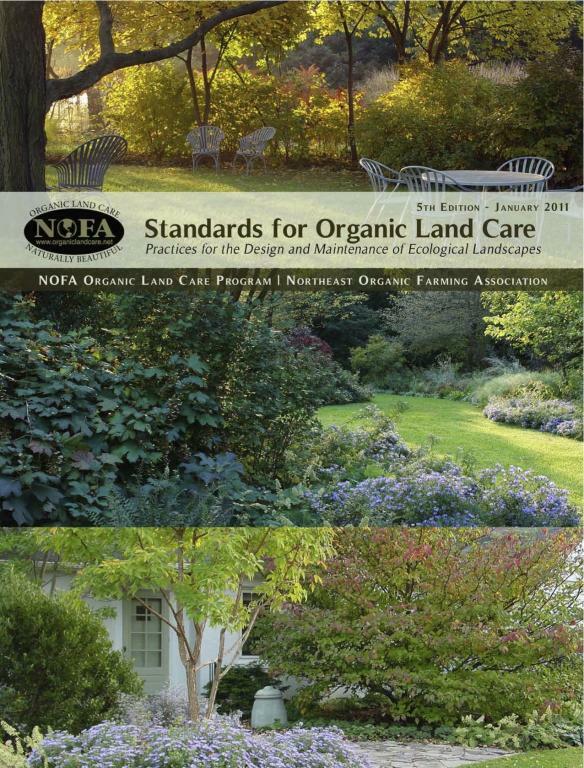 NOFA Organic Lawn Care Guide Now Available for Purchase! 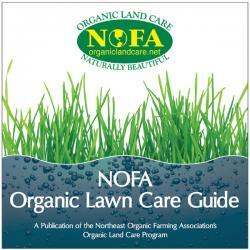 The NOFA Organic Lawn Care Guide is an 8.5" x 8.5", 58 page text book created for the Organic Lawn Care Certificate Course. 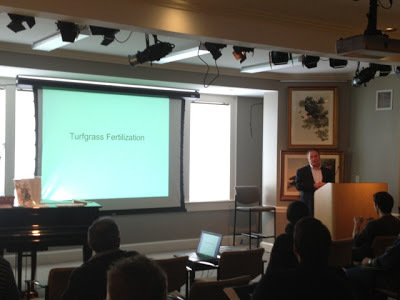 The book includes sections on salt and fresh water ecology, soil health, introduction to organic land care, organic lawn care business practices, and three detailed sections on organic turf care. It's a great resource to have in your business vehicle as an on-the-go reference. All pages are coated for water resistance, so you can take it with you to the job site worry free. Learn more about the book and order online here. Getting Your Credits for 2014 is Easier Now Than Ever! All AOLCPs must earn at least 4 continuing education credits per year in order to reaccredit for another year. These credits can be earned by attending our events, like the Annual Gathering or Advanced Workshop series, without having to fill out any paperwork. However, if you want to attend a class or workshop that isn't coordinated by us, you can check our credit opportunities page for a list of courses that we are offering credit for. If you want to attend something that isn't listed there, you can use this online form to submit the course to us for credit approval. If approved, your course will be added to the credit opportunities page. When it comes time to reaccredit for 2014, use this online form to submit your credits and payment all in one easy step. Questions? Check out our continuing education page to learn more, or call the office at 203.888.5146. Clackamas Community College in Oregon City, OR is now accepting applications for a full-time Horticulture Faculty position. Click here to see the full job announcement and to apply. 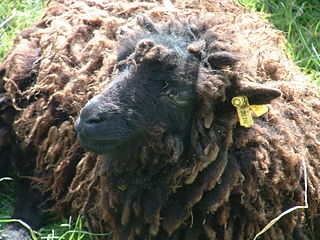 Description: Act as lead instructor for the Urban Agriculture program. Master's degree in Horticulture or related discipline. At least two years' experience in a Horticulture/Agriculture related industry, such as: sustainable food production, greenhouse/nursery production, propagation, etc. Planning to Build a Rain Garden? Get the Rain Garden App From the CT NEMO Program! "Rain Garden" is a FREE app designed to help you properly install a rain garden at your home, office, or job site. Through video tutorials, diagrams, text, and tools, the App guides you though determining the size and placement of your garden, selecting plants, digging and planting your garden, and maintaining your garden. It also includes tools for determining your soil type, measuring the size of the area that will drain to your garden, and managing multiple rain garden projects. Learn more about the app here. 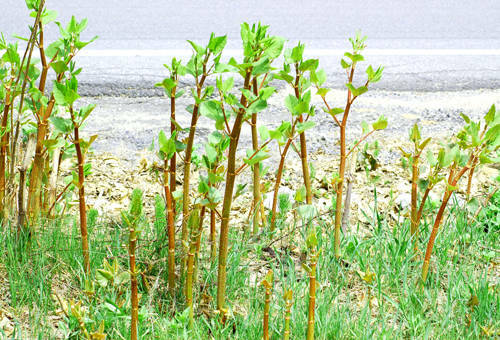 As plants begin to grow this spring, landscapers will undoubtedly have some exposure to invasive species. 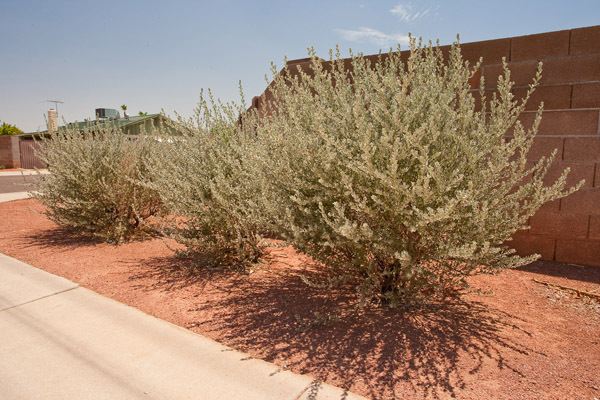 Landscapers must take care when selecting plants for the landscape, when treating invasive species, and when working to prevent the spread of invasives. The following excerpt on invasive plants can be found on page 38 of the NOFA Standards for Organic Land Care. The lack of the natural controls on growth and reproduction that would be found where the invader is native. In addition to their ability to compete for sunlight, water, and nutrients, invasive plants may have few or no natural enemies to keep their populations in balance with the rest of the local ecosystem. With no check on their growth or spread, invasive plants are able to form monocultures where no other plant grows, disrupting the food chain upon which insects, birds, and other animals depend. Approximately 85 percent of the invasive woody plant species in the United States were introduced for landscape or ornamental use. Studies have shown that it can take up to 20 years from first introduction for a plant to become invasive and begin to cause problems in the natural landscape. Therefore, the precautionary principle should be applied when deciding which plants to use in an organic landscape: A plant whose invasive potential is unknown should not be planted. Stay tuned for more on invasives in next month's newsletter!